Jacques-André Dupont recently visited the Jakob Motter repair shop for stringed instruments. 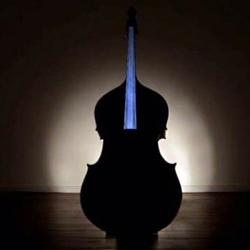 There he saw the double bass "The French Landlady" and proposed a projection mapping project. Check out more from Jacques-André Dupont.